Tried googling ceat lt and found nothing. Who sales them? After Alan left i stopped using them. I run sl26 on front and sm100 on the back. Both on af tubeless, the back being a wide rim. Never had a problem with miss at he’d tyres and I’ve done thousands of km. On similar set up but with an indian gp200 box and 4,8 final drive i reached 130kmph and were able to sustain the speed on full throttle last summer. 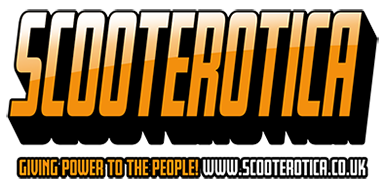 Went from hating the old scootopia ones to loving the new ones. I always have a sil on flywheel side and scootopia on kick side.